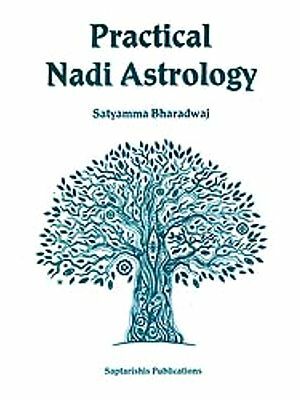 The blessings of "Shri Bala Chandrika" have enabled me to place before the astrological fraternity, a long needed treatise on "Nadi Astrology" in English. 1. 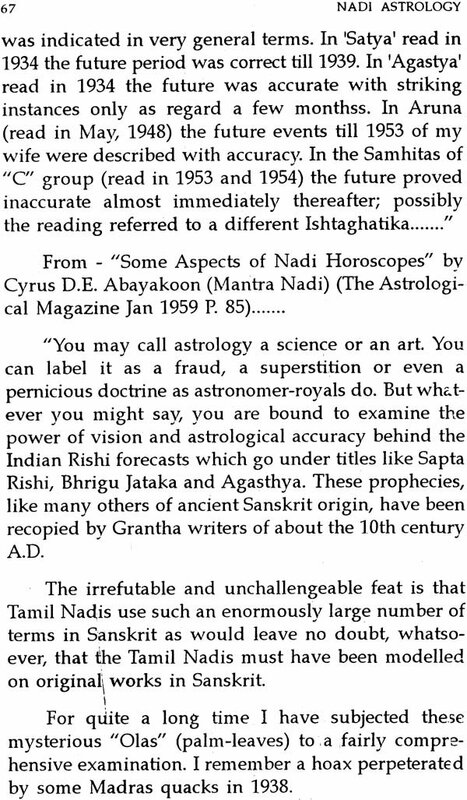 Publishing innumerable articles on "Nadi Astrology" in the Astrological Magazine, right from 1940 to 1998. 2. Publishing the most important articles "Challenge of Nadi Literature" by Dr. Naga Raja Sarma in the Annual Number of Jan. 1952 of the Astrological Magazine. 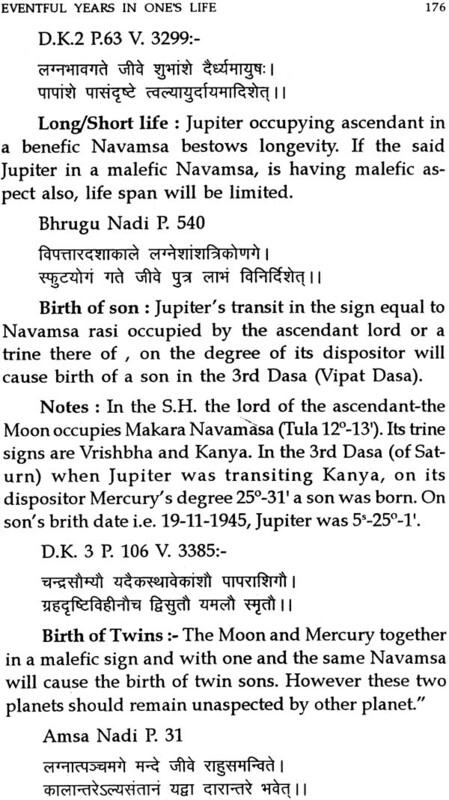 In fact, this article, which I have studied more than 10 times, till date has induced me to write a book on "Nadi Astrology". After deep study of the subject from 1958 to 1998, I am in a position to write a small treatise for the benefit of researchers. 3. For allowing me to reproduce matter from the Astrological Magazine, which I have acknowledged at every place. 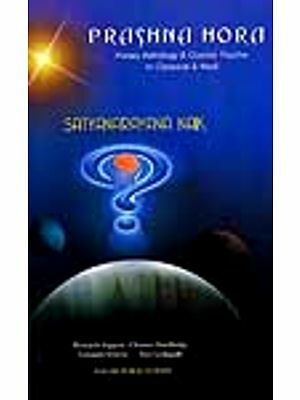 I also, express my indebtedness to Late Shri R. Santhanam for allowing me to collect matter from his three volumes of. Deva Keralam(Chandra-Kala Nadi). 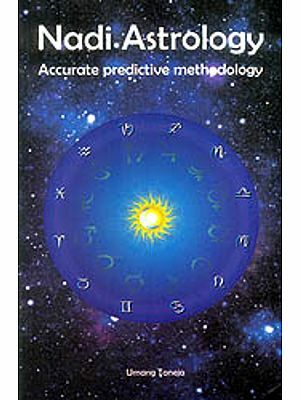 "Publishing in full two of my important lectures delivered at London on "Nadi Astrology" and "The Techniques of Prediction". 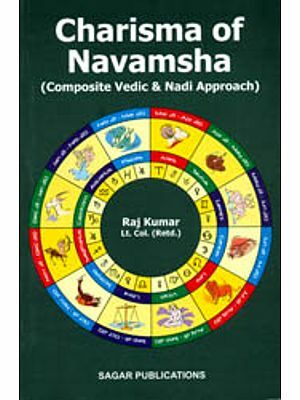 "These lectures will go long way in enabling the reader to understand the significance of Nadi Astrology and the Shodasavargas". "Most of us are aware of Shodasa-Vargas the Parasarian divisions of a sign (or Rasi) into sixteen different parts of lengths of longitudes". 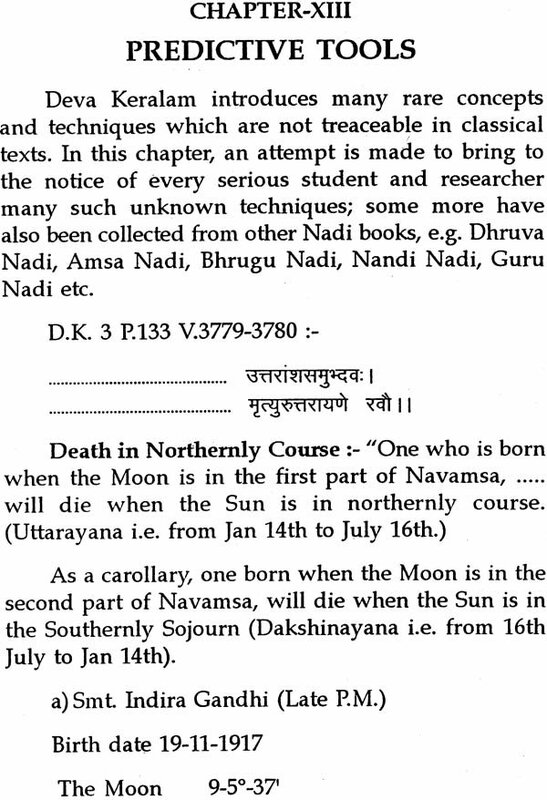 Both of them attach much importance to ShodasaVargas and "Nadi Astrology". 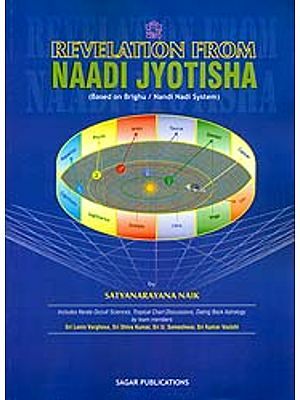 After the publication of our book" Ashtakavarga" by Patel and Ayer in 1957, I thought to make a deep study of Nadi Astrology. With this idea in mind, I placed orders with various libraries, such as G.O.M.L., Adyar (Chennai); University Library, (Mysore) and Maharaja Sarfogi Rao, Saraswati Mahal, Library (Tanjore) and collected some Nadi granthas transacribed into Devanagri script from 'the local languages. These volumes were collected between 1957 to 1961. Late Shri Laxmidas Dharamsey Ashar, Shri C.A.S. Ayer and self sat together at my residence and started studying Nadi Astrology from 1961 to 1968. Again, Late Shri S.K.Bhagat (author of "Golden Key to Unfold Nadigranthas"1990), Late Shri S.K. Narasimham, Shri N.L. 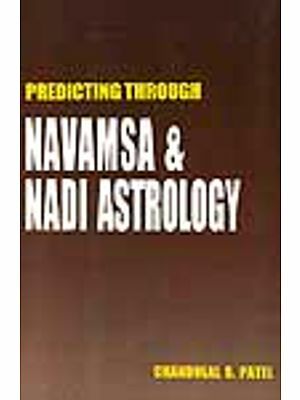 Desai, Shri C. Gala and self sat together at my place and started going deeper into the subject from 1980 to 1983, as a result some articles on predictive tools from Nadi texts were published by me in the Astrological Mangazine (Banglore) and the Times of Astrology (New Delhi) from 1984 onwards. 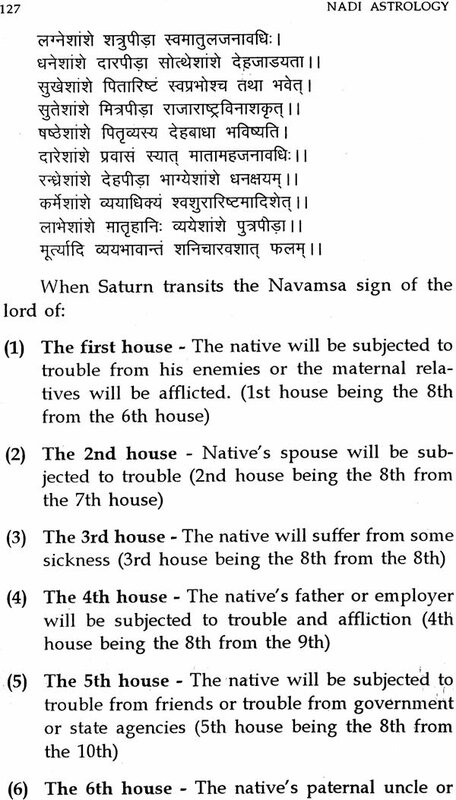 Reserch in "Nadi Astrology" is a Herculian task. Unless a band· of scholars sit together for some years and do research on the subject, nothing substantial is possible. It is just like authoring an "Encyclopedia" where a band of scholars are at work for years. Similar is the case with Nadi research. 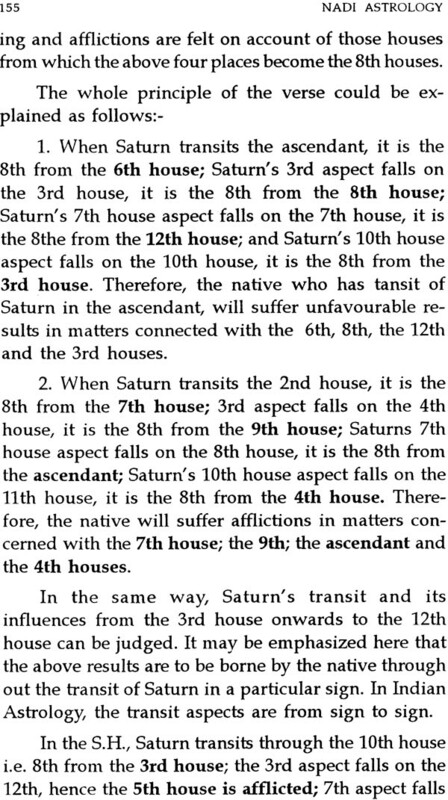 i) Nov'88; ii) Dec'88; iii) Jan'89; iv) Feb'89; v) Mar'89; vi) Apri1'89 and vii) Aug'89. 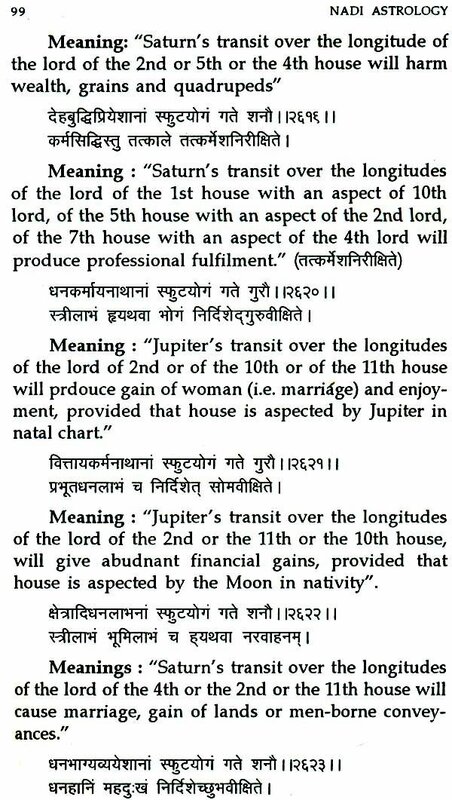 Shri T. Rama Krishna, has fully discussed what a fund of knowledge a Nadi-researcher must have in the above seven articles. 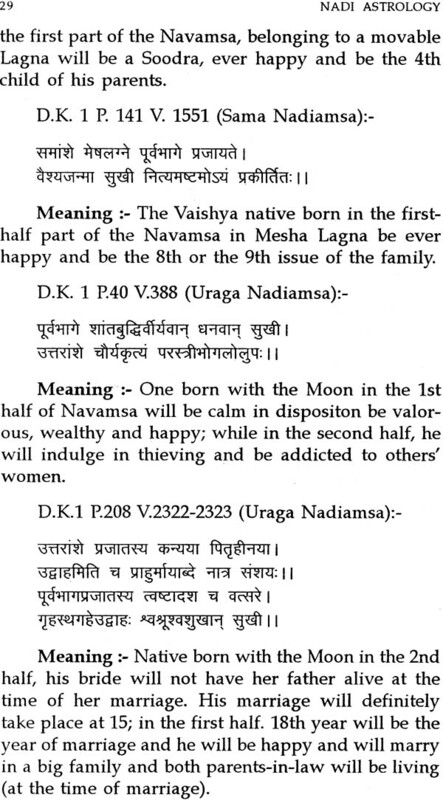 He says :-"The unique system of Nadi literature is not so easy to grasp in the present era unless an indepth research is made on the inumerable known and hidden techniques by a team of expert astrologers dedicated fully for the single object "
Indeed it is a Himalayan task to attempt at researching the basic formulae of the Nadi system of astology unless and until one gets mastery over most of the available methods enlightened by Parasara, Jaimini, Bhrigu and other Maharishis.